With autumn here, it’s “back to school” for many of your local clubs and societies that may have taken a short break over the summer months. 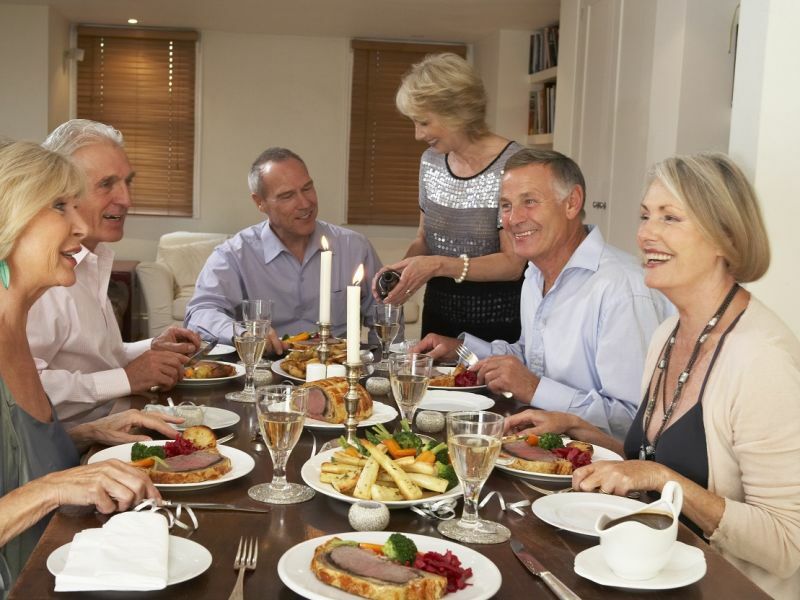 It’s likely that you will be socialising more, whether it’s attending local meetings, picking up your favourite hobbies and sports again or simply enjoying dinners or parties with friends and family. However, if you suffer from hearing loss, some of these activities can be difficult. Struggling to hear what people are saying around you can be disorienting and tiring, taking the enjoyment out of many activities. A busy environment with lots of background noise, such as a room at a party, can be particularly problematic. Fortunately, with the right set of hearing aids you can sail through any situation. More than 11 million people in the UK are living with hearing loss – that’s 1 in 6 of us. Action on Hearing Loss further estimates that this figure will go up to 15.6 million by 2035. Research has shown that hearing loss affects your quality of life, leading to feelings of isolation, social withdrawal and at times depression. People tend to stay away from social situations, especially those where the background noise levels prevent them from hearing well. This includes attending parties, going to the pub, and even speaking on the phone. The use of hearing aids can really help to improve the overall quality of life, contributing to more active lives and better health. Hearing aid wearers are less likely to suffer depression, and even less likely to get dementia, compared to people who have a hearing loss but do not use hearing aids. Completely in the canal (CIC) hearing aids are very tiny (almost invisible) and sit deep inside the ear canal. These are most helpful to people with mild hearing loss. The receiver-in-the-ear (RTE) hearing aids provide natural sound clarity and are helpful to people with mild to moderate hearing loss. These are quite discreet and therefore usually a popular choice. Behind The Ear (BTE) hearing aids fit snugly behind your ear. They are more powerful than most other hearing aids and give better sound clarity. These hearing aids are useful for those suffering from moderate to severe hearing loss. Even if you only have a mild hearing loss, hearing aids can be incredibly helpful in navigating daily life and social situations, letting you make the most of your activities and keep living life to the full. Leightons Opticians & Hearing Care store offer a free hearing assessment, which includes a free hearing aid demonstration to help show the difference that a hearing aid can make to those with a hearing loss. We also offer a wide range of digital hearing aids from some of the world’s leading manufacturers, including Oticon, Phonak, ReSound and more. For more information or to book a free hearing test, call us on 0800 40 20 20 or visit your local branch. Alternatively, you can book an appointment online.